Primary central nervous system lymphoma (PCNSL), a rare subgroup of diffuse large B-cell lymphoma (DLBCL) arising in the central nervous system (CNS), is an aggressive malignant variant of nodal non-Hodgkin lymphoma (NHL). PCNSLs account for 3% of all primary CNS tumors and 1% of NHLs in adults. MicroRNAs (miRNAs) are small noncoding regulatory RNAs consisting of approximately 20-mer nucleotides, that inhibit gene function through suppression of translation of target genes. Dysregulation of miRNA expression and RNA interference (RNAi) mechanism are related to tumor malignancy in chronic lymphocytic leukemia and acute lymphoblastic leukemia. 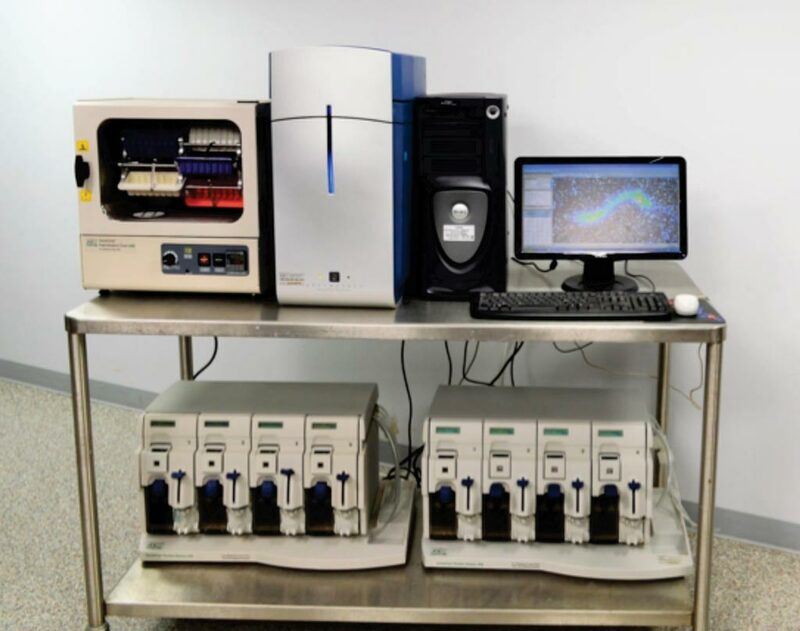 Image: The Affymetrix Genechip 3000 microarray scanner and autoloader fluidics station 450 (Photo courtesy of New-life Scientific). Scientists at Kyoto Prefectural University of Medicine (Kyoto, Japan) and their colleagues deciphered the miRNA signature through analysis between the expression patterns of miRNAs and their correlation to the prognosis in 27 PCNSL specimens. They first selected 16 miRNA candidates from the 847 miRNAs detected using microarray technique. Then based on principal component analysis (PCA) after Random forest analysis and clustering analysis, they determined that miR-181b, miR-30d, and miR-93 constituted a miRNA signature in PCNSL. 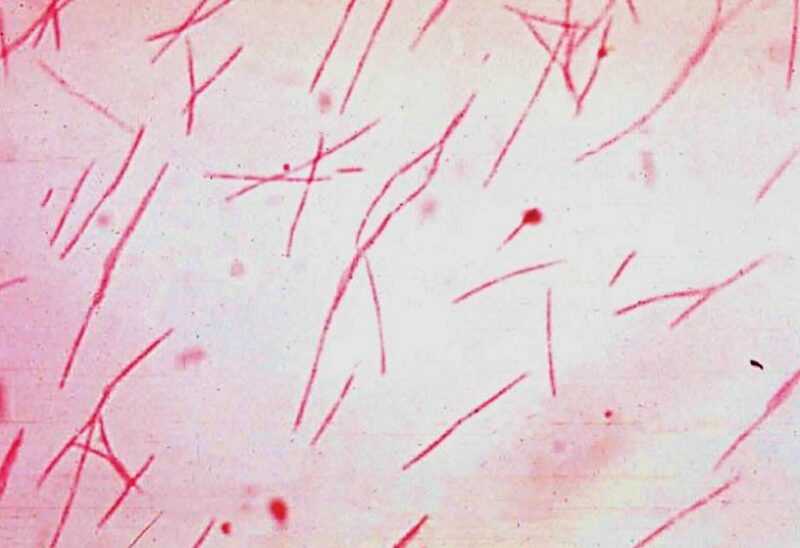 Total RNA was extracted from approximately 100 mg of each tumor tissue and the quality of the extracted RNA was verified with a Bioanalyzer System using RNA Pico Chips. The RNA was amplified twice and used for hybridization with Affymetrix GeneChip miRNA Array, comprising of 30,424 probes. After hybridization, the array chips for target detection were processed, washed, and stained using the Fluidics Station 450. The High-Resolution Microarray Scanner 3000 was used for scanning the signal, and GCOS Workstation Version 1.3 was employed for image-quality analysis. The team considered the prognostic clues provided by the 16-miRNA gene set, and by a subset of three quantitative PCR-validated miRNAs found by Random forest analysis and clustering analyses: miR-30d, miR-93, and miR-181b. The expression profiles for miRNAs from both signatures could successfully separate PCNSL patients with poor or more favorable overall survival rates. These miRNAs have been implicated in processes ranging from new blood vessel formation to cell migration, proliferation, and immune function, the team noted, and were highly expressed in almost half the PCNSLs tested. The study was published on January 7, 2019, in the journal Public Library of Science ONE.